Coping with the ups and downs of menopause mood swings can be difficult to manage. Sometimes the slightest things can send you into a rage or you can find a T.V program particularly heart wrenching and burst into tears. Happy one minute and sad the next are common menopause symptoms. FACT: The decline in estrogen and other hormones that occur during perimenopause directly affect the neurotransmitters in your brain. Mood swings are generally defined as rapidly changing moods. Declining estrogen levels can make you feel like you are in a constant state of premenstrual tension. Many women experience some sort of mood problem during the lead up to menopause. There are several ways that your mood can be affected by the hormone changes taking place during this time. Someone telling you to “pull yourself together” or that it’s “all in your head” is a sure way of making your mood swing into action. 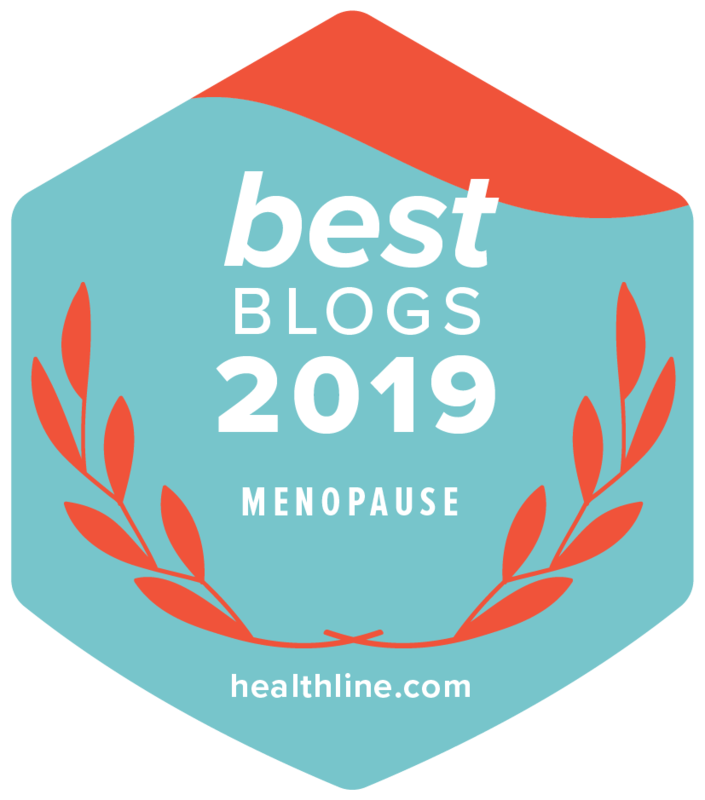 Understanding this difficult symptom of menopause will not only help you to cope but will also help you to explain it to any unsympathetic loved ones or colleagues. Each woman has her own individual way of coping with her emotions, however, there are a number of common symptoms related to menopause mood swings. Potential Root Causes Of Your Menopause Mood Swings/Emotional Symptoms? Some women are more sensitive to hormone changes and therefore more vulnerable to mood shifts than other. If you have suffered from premenstrual symptoms in the past. If you were emotionally up and down during pregnancy. If you have had a postpartum depression. The impact of low estrogen levels is both dramatic and rapid for women who have had their ovaries either surgically removed or they have stopped functioning as a result of medical treatment. These two scenarios can cause serious mood problems and need to be fully discussed with your Healthcare Professional preferably before either of them occur. After the age of 40 your chances of having a sleep disturbance increases. Sleep disturbance or a sleep disorder can seriously impact on your mood. If you regularly get less than 7 hours sleep a night, this can cause you to be less productive in everyday life. It will also cause you to have problems with your memory and concentration. Finding a way to get enough sleep may boost your effectiveness. If you are experiencing night sweats, another common symptom of menopause, you may think you are getting 8 hours sleep a night but if your sleep is not deep you could still be suffering from sleep deprivation. Stress is a major factor of sleep loss, so if you wake up during the night thinking of problems you need to find stress/relaxation management techniques that work for you to help maintain emotional stability. Sleep deprivation or a sleep disorder can cause anxiety, irritation and depression, if it goes on for too long. You are more likely to experience mood swings during your menopausal years if you have a history of depression. If you have been prescribed anti-depressants or diagnosed with a depressive disorder in the past, the menopause years may bring about a further episode of depression. You should seek help from your Healthcare Professional if your mood begins to suffer. Having teenage children at the time of menopause means that there will be a roller coaster of hormonal changes for all concerned as everyone struggles to manage mood, body image and behavioural changes. If you are responsible for the care of an aging parent, helping them to cope with their problems can leave you feeling exhausted and have a negative effect on your emotions and mood. An unstable marriage/relationship. as well as having an adverse effect on your mood, can lead to anxiety, depression or physical illness. Any work related stress can cause your mood to deteriorate. What you could deal with during your younger years can become more difficult in your middle years. For women who can embrace life changes and look upon their midlife as being one of accomplishment and satisfaction will have a more positive attitude towards aging. Smoking, alcohol, poor diet, stimulant use and inadequate exercise can all have a negative impact on your mood. As well early menopause, cancer and sleep disorders, diabetes, heart disease, lupus and thyroid disease can also negatively impact on your mood. • Natural relief products for hot flushes and night sweats may also help to improve your mood swings. Avlimil is a natural menopause relief solution and hormonal balance supplement. Avlimil are currently offering Menopause Health Matters visitors at 15% discount. You can read more about Avlimil here. Please use code FAB15 at checkout to receive your discount. • Hormone Replacement Therapy – you will need to seek advice from your Healthcare Professional. • Treatment of a sleep disorder – this will be under advice taken from your Healthcare Professional. • Anti-depressant Medications – you will need to seek advice from your Healthcare Professional. Regular exercise – when you exercise your body releases chemicals in the brain that promote relaxation and enhance your well-being. Yoga, meditation, massage, breathing and relaxation techniques will all help to decrease negative emotions. Eat a well balanced diet – complex carbohydrates found in whole grain breads, oats, muesli and brown rice can help to boost serotonin levels. Foods high in protein, such as fish, meat and dairy products are rich in amino acids and will help you to cope with mood swings. Engage in a creative activity that promotes a sense of achievement. 20 minutes of vitamin d (sun exposure) every day can also affect your mood. If you are suffering from menopause mood swings that become very severe and last for an extended period there may be a clinical reason for this such as bipolar disorder or clinical depression. If you are at all concerned you must seek advice from your Healthcare Professional.